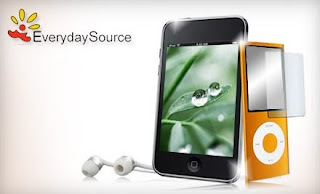 $10 for $20 to EverydaySource.com - THEY SELL INK! This deal sold out last time it was available so make sure you act quickly so you don't miss out! Attention coupon printers - today's Las Vegas Nevada Groupon will help cut the cost of the hefty ink refills : for $10, you get $20 worth of electronics accessories from EverydaySource.com, a leading online retailer of electronics accessories -- BUT they also sell ink cartridges! I know that is what I am going to use mine for. Also, shipping is included in the $10 purchase price. I was able to locate my type of ink and it is $12.99 for a black cartridge (I only buy black because its cheaper). So for a total of $15.98 I will be able to get 2! * Limit 1 per person, may buy 3 additional as gifts. Online only. Limit 1 per order. Must use in 1 order, no cash back. Not valid with other offers. Shipping included in US. This Calvin Klein Duotone 40 Piece Flatware Set is inspired by contemporary architecture and features polished heads with squared handles and brushed ends. Each piece is quality crafted from 18/8 stainless steel, and is perfect for formal entertaining. 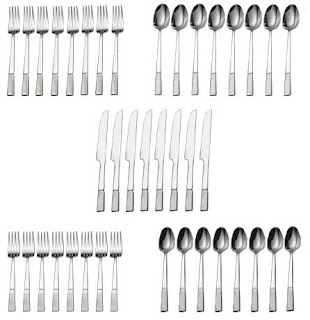 40 piece set, service for 8, includes 8 each of: dinner fork, salad fork, knife, tablespoon, and teaspoon. Dishwasher safe.